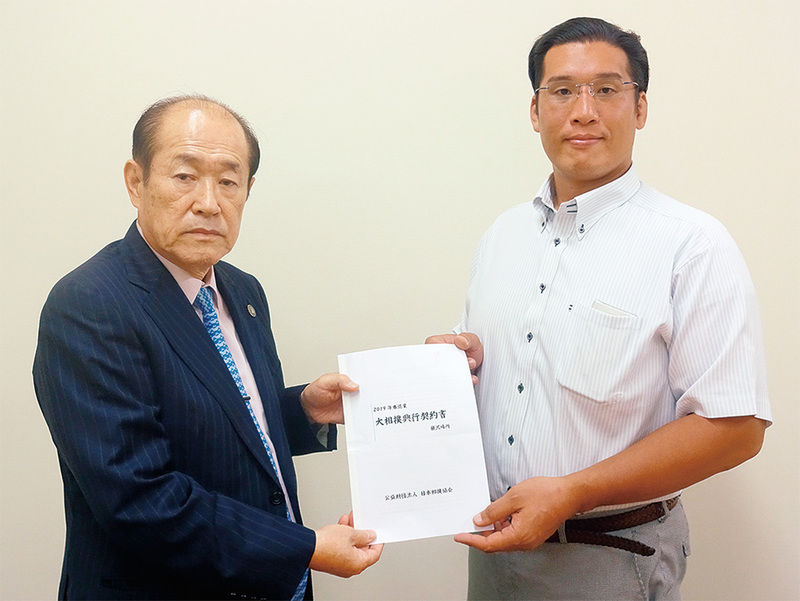 The fight for the 90 jungyo days in 2019 has begun. 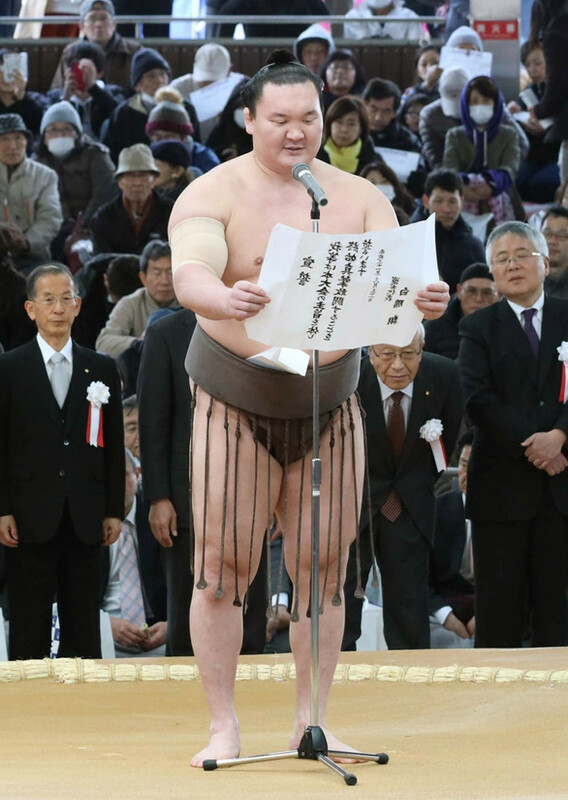 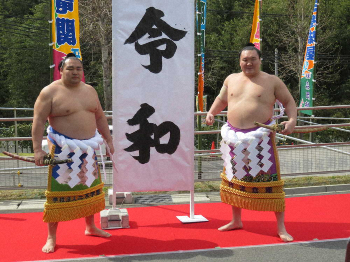 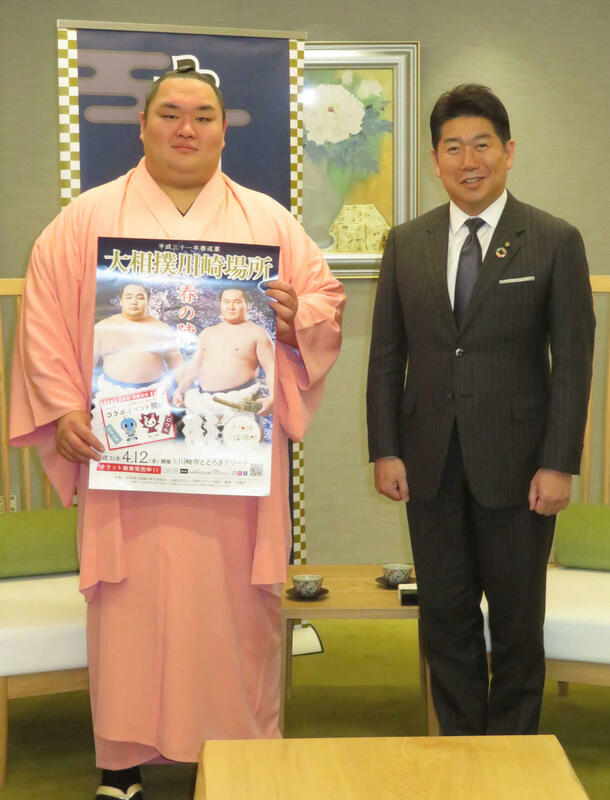 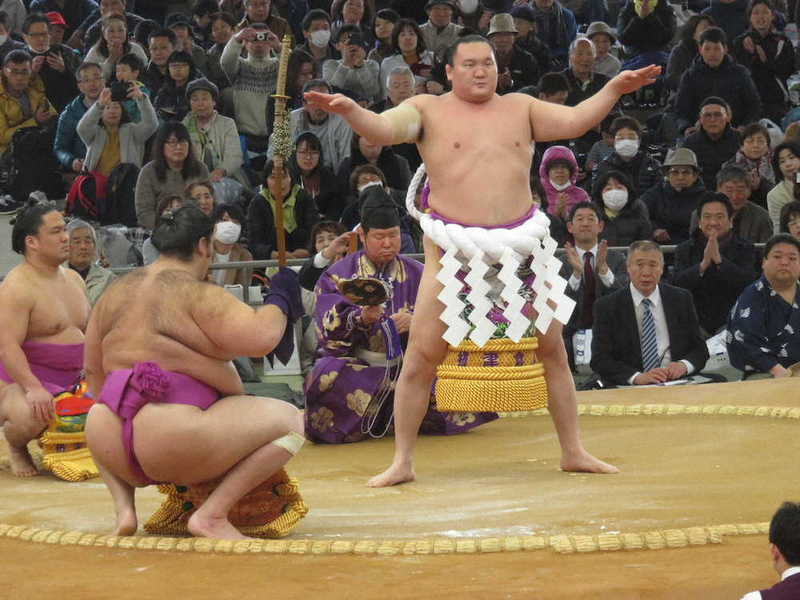 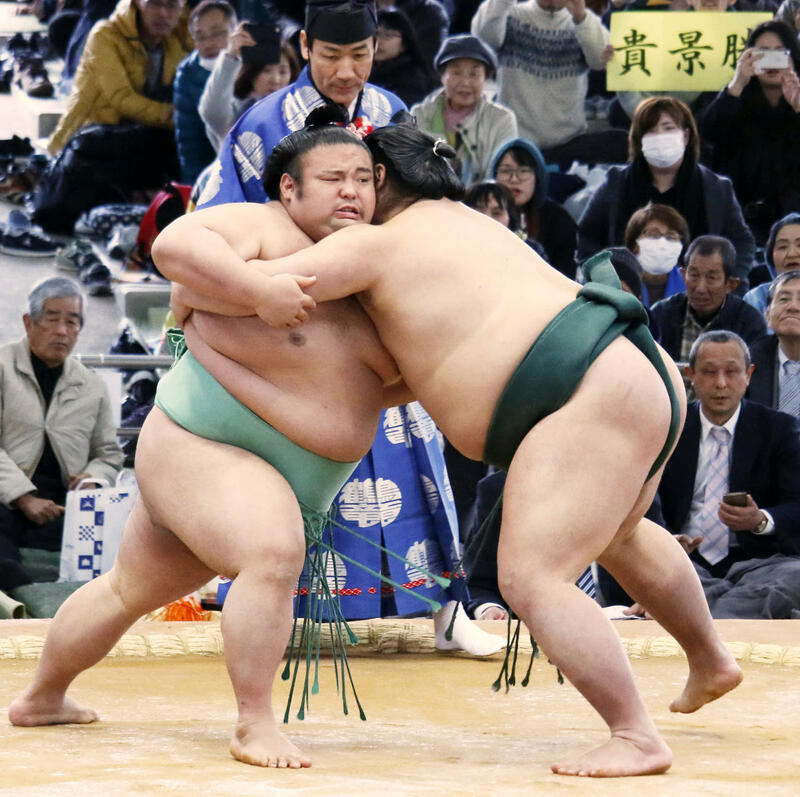 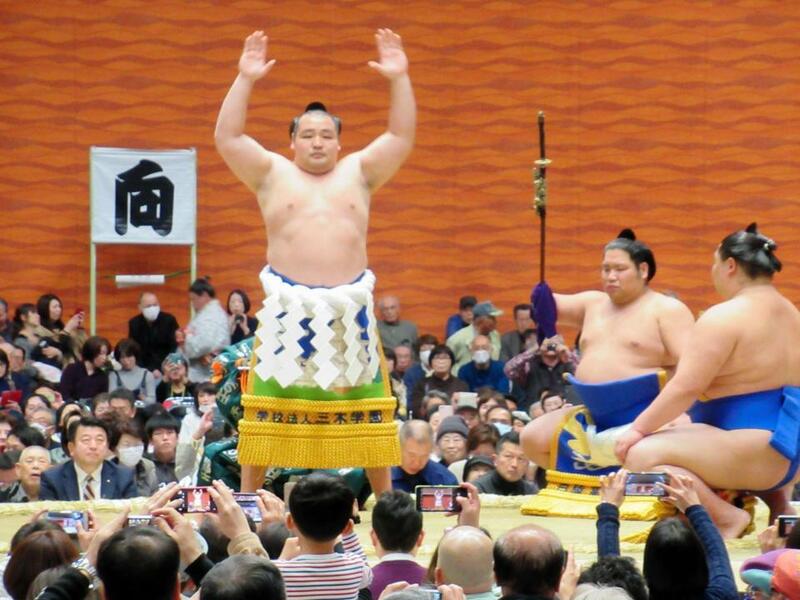 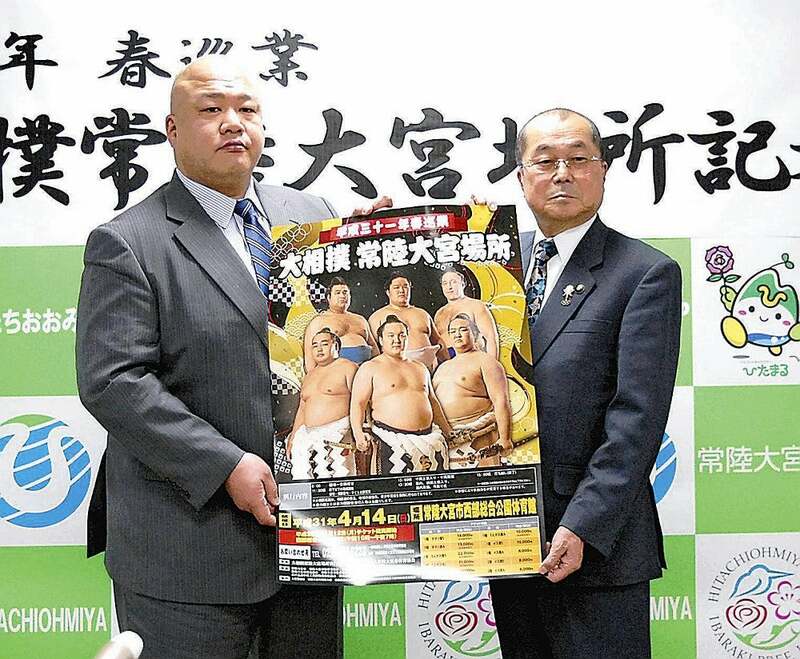 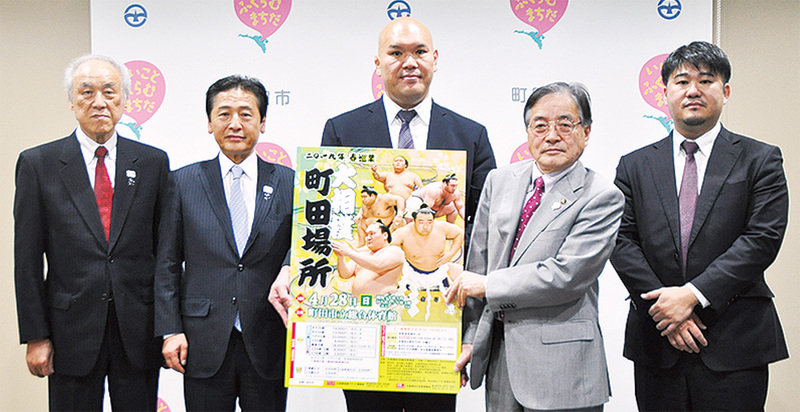 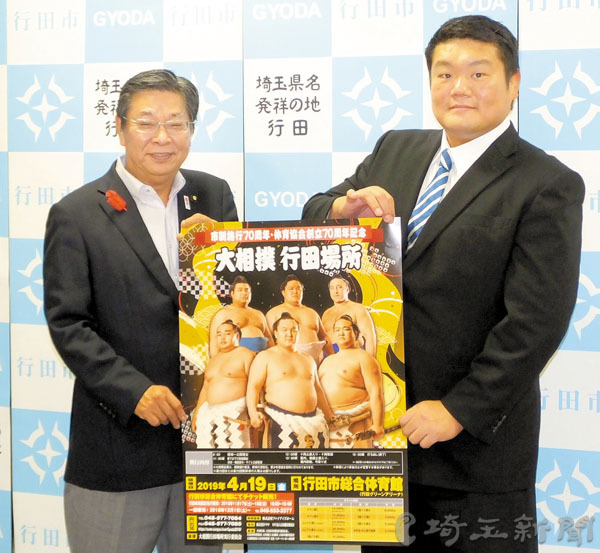 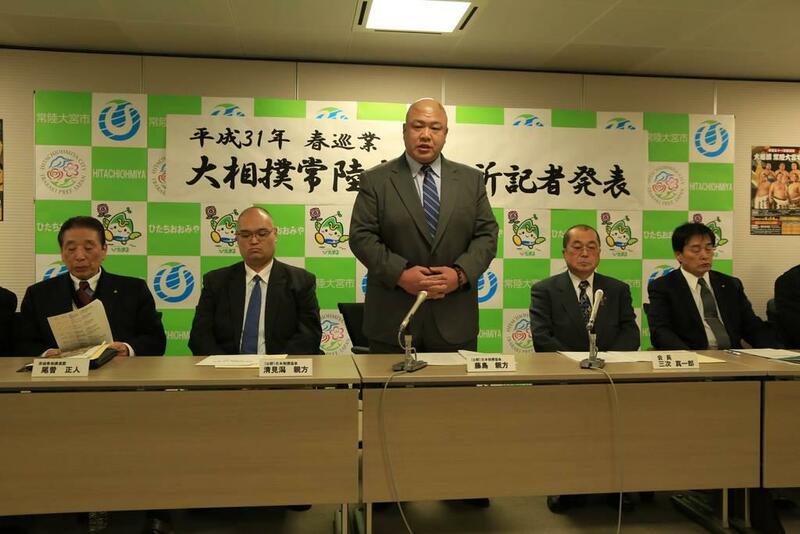 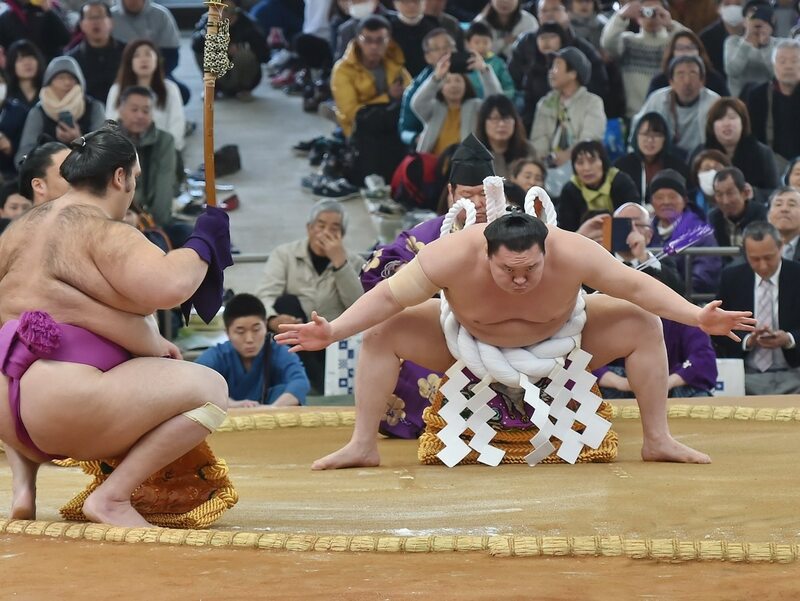 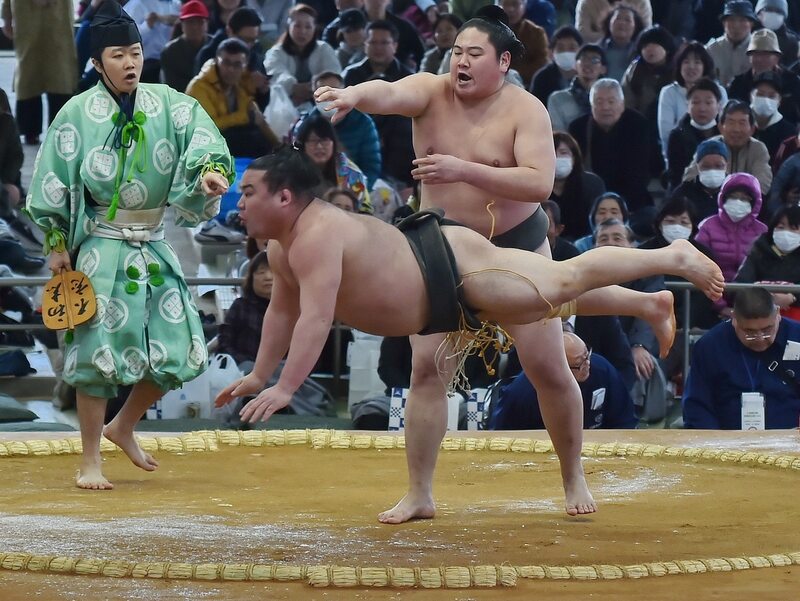 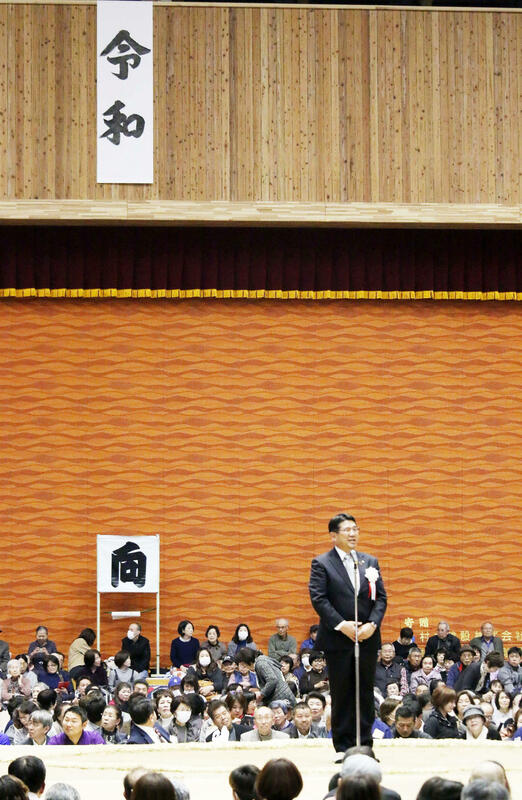 On April 4th, the sumo stork basho in Toyooka, Hyogo, after 14 years again.This Tajima region had last year a jungyo in Yabu, with 2000 spectators. 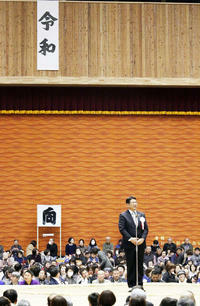 The venue in Toyooka has 2700 seats. 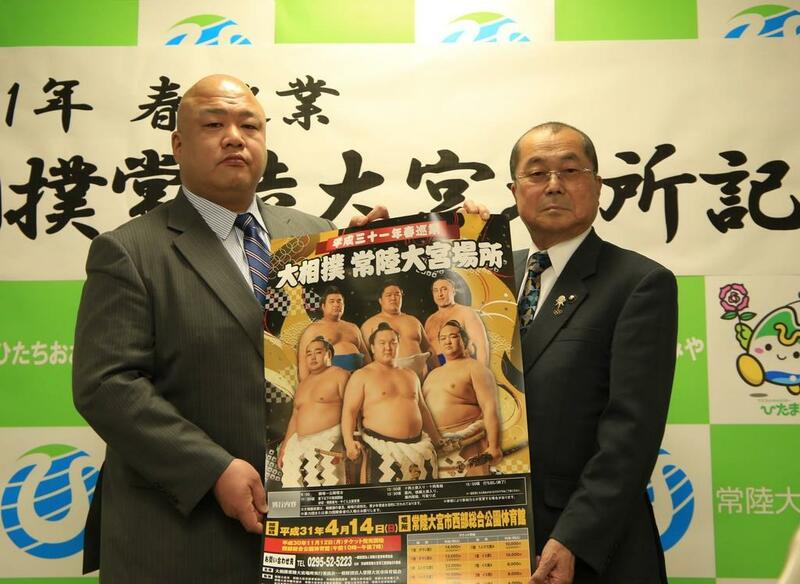 And the 2 also went next door, to Kawasaki, to do PR for the 4th Kawasaki jungyo, which will be on April 12th. 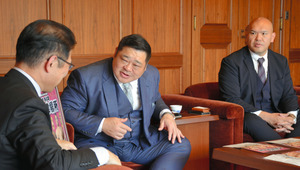 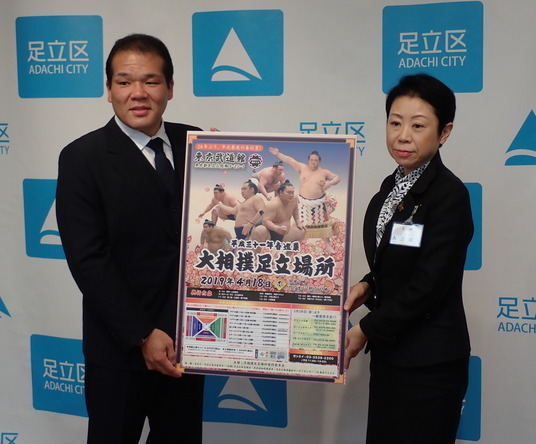 Edagawa and Shikihide were at the city hall on the 11th. 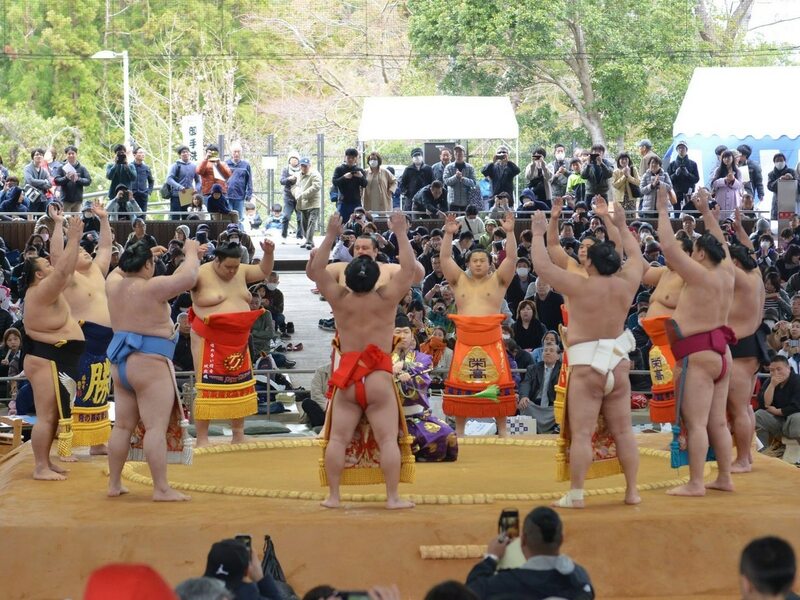 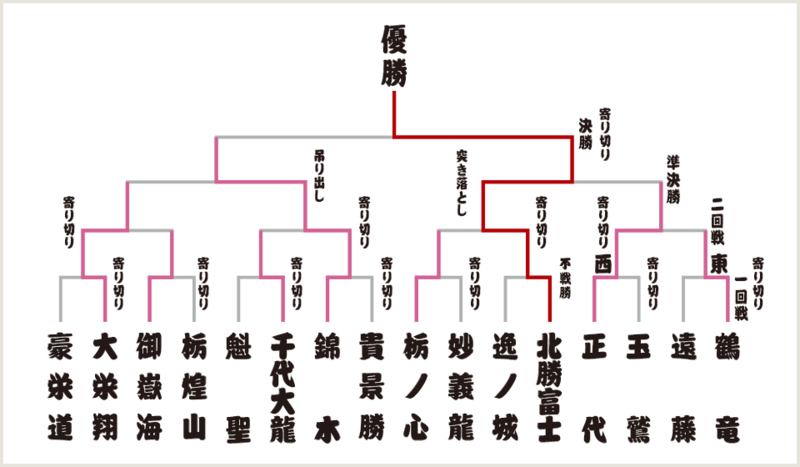 The full schedule for the last jungyo of the Heisei era has been released, and it's a big one. 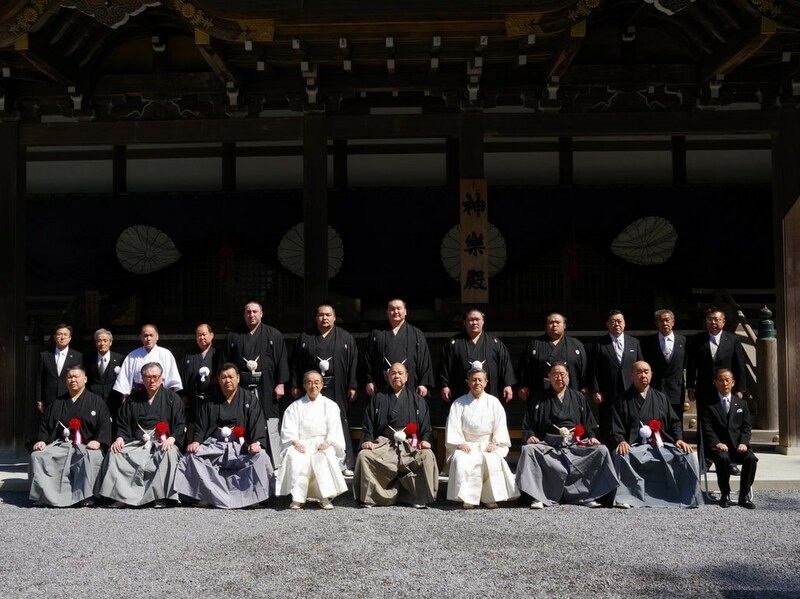 25 events in total, including the honozumo at Ise and Yasukuni shrines as usual. 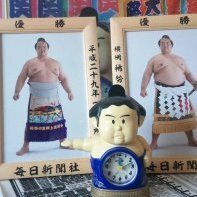 Another extended period with the sekitori traveling extensively and playing showbiz and hype games when they should be home at their heya resting, recovering and training to refine their offensive and defensive techniques. 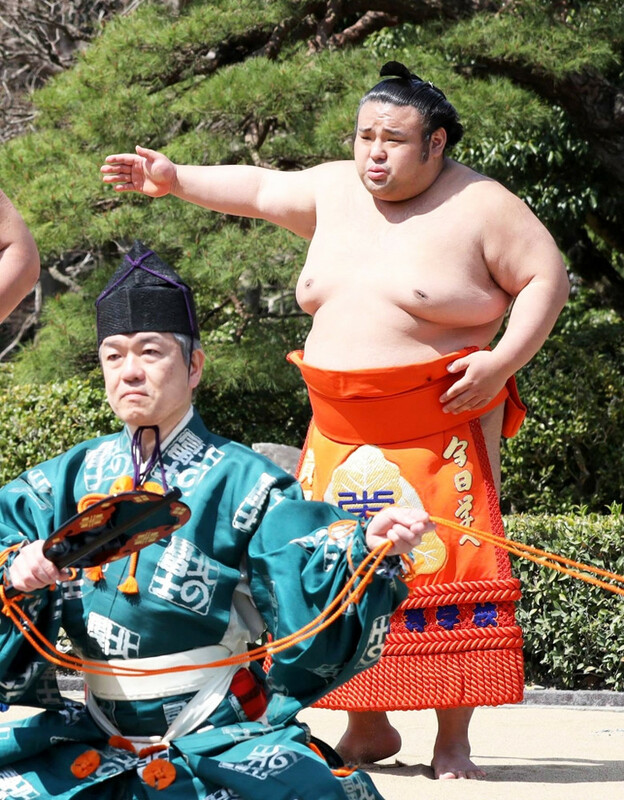 The result is a lot of sloppy, pushme-pullyou honbasho activity by damaged rikishi. 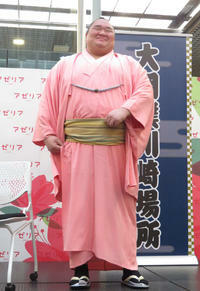 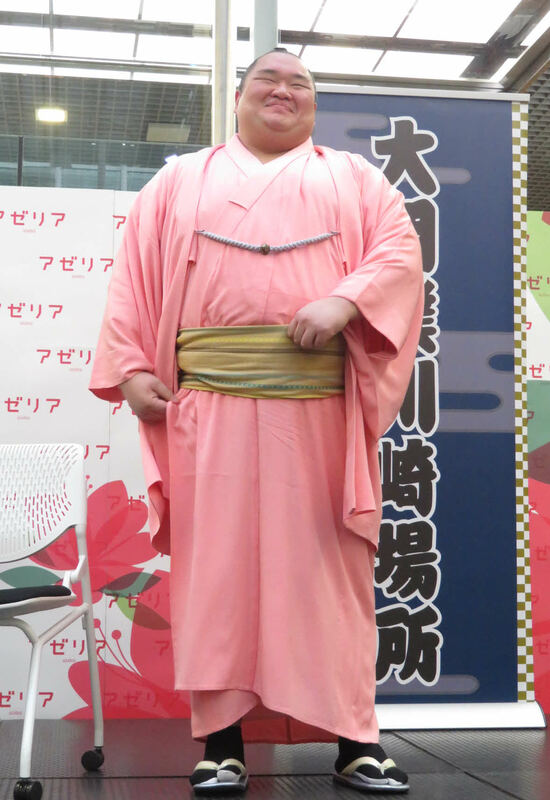 Tomokaze today did PR in a shopping mall in his hometown Kawasaki for the jungyo there on Apr. 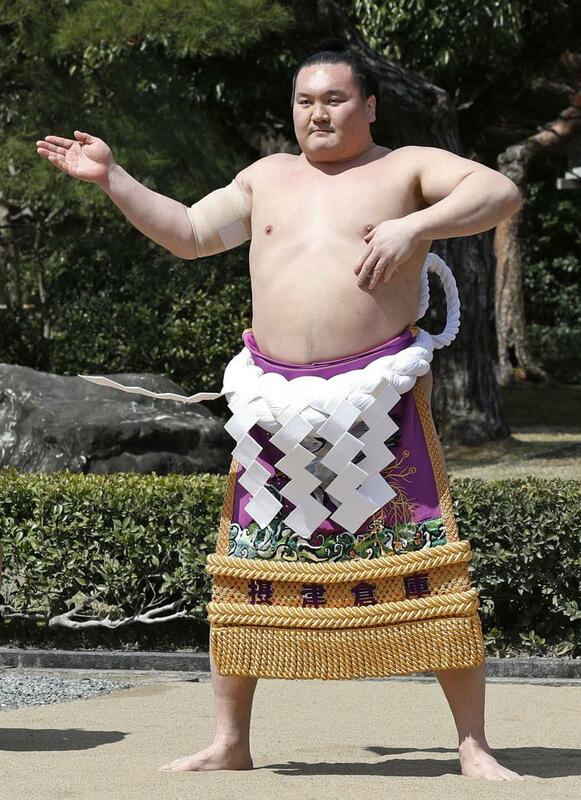 12th. 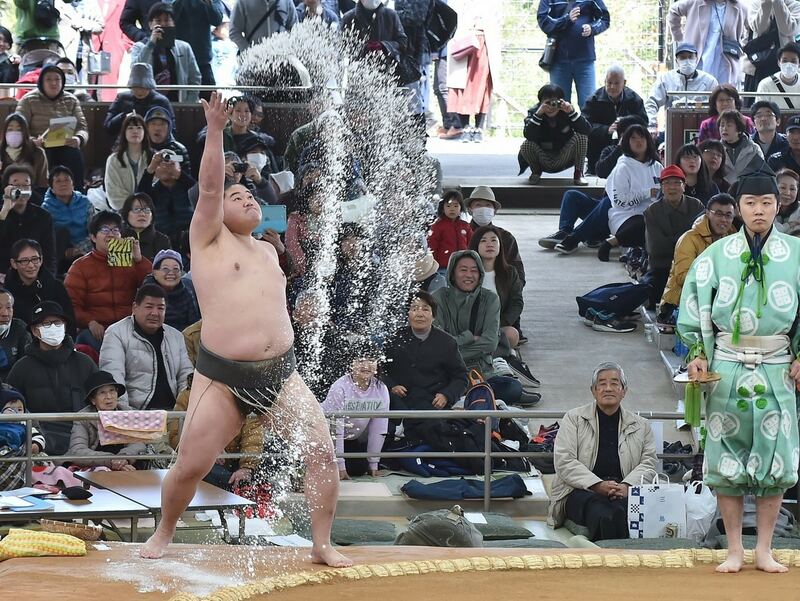 On April 4th, the sumo stork basho in Toyooka, Hyogo, after 14 years again.﻿This Tajima region had last year a jungyo in Yabu, with 2000 spectators. 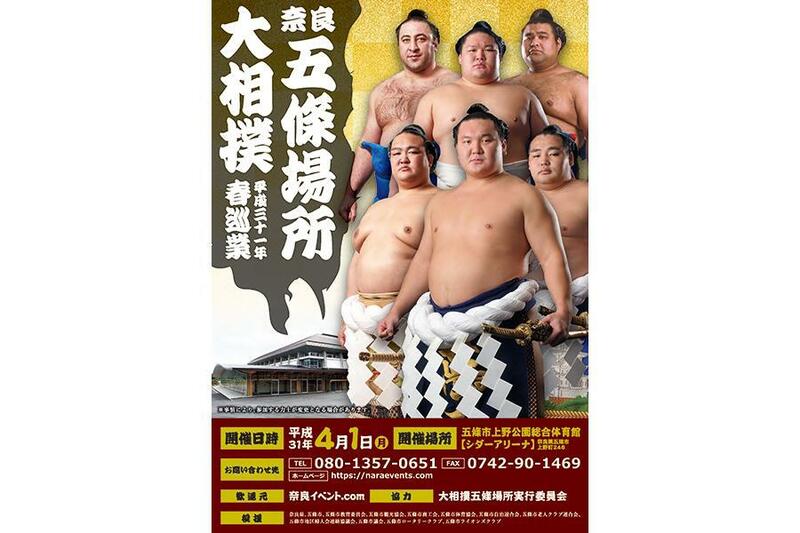 The venue in Toyooka has 2700 seats. 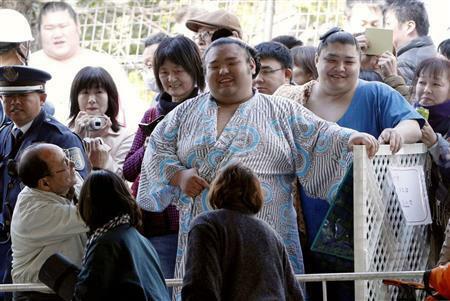 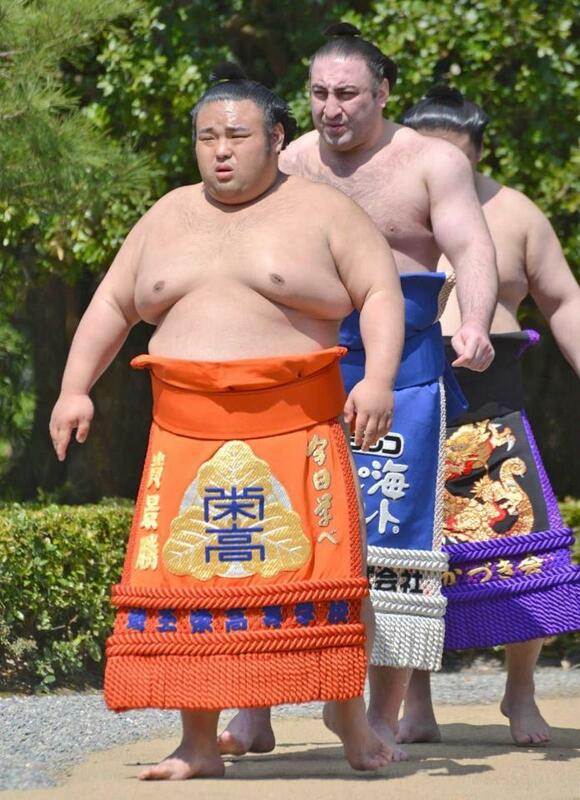 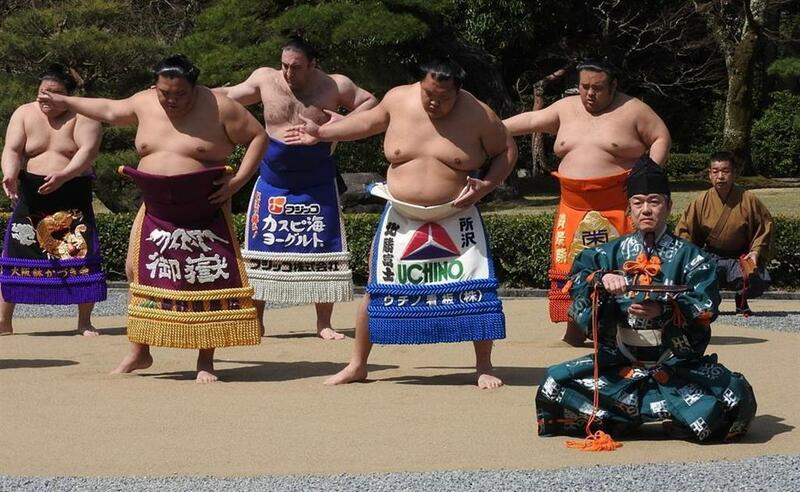 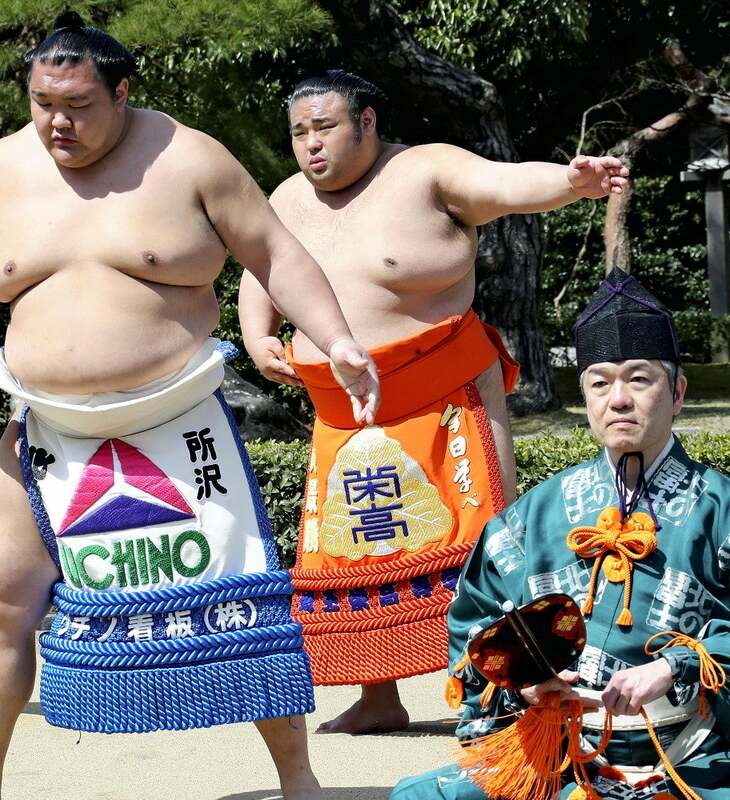 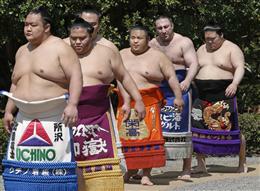 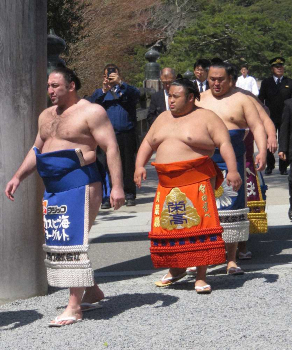 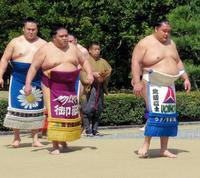 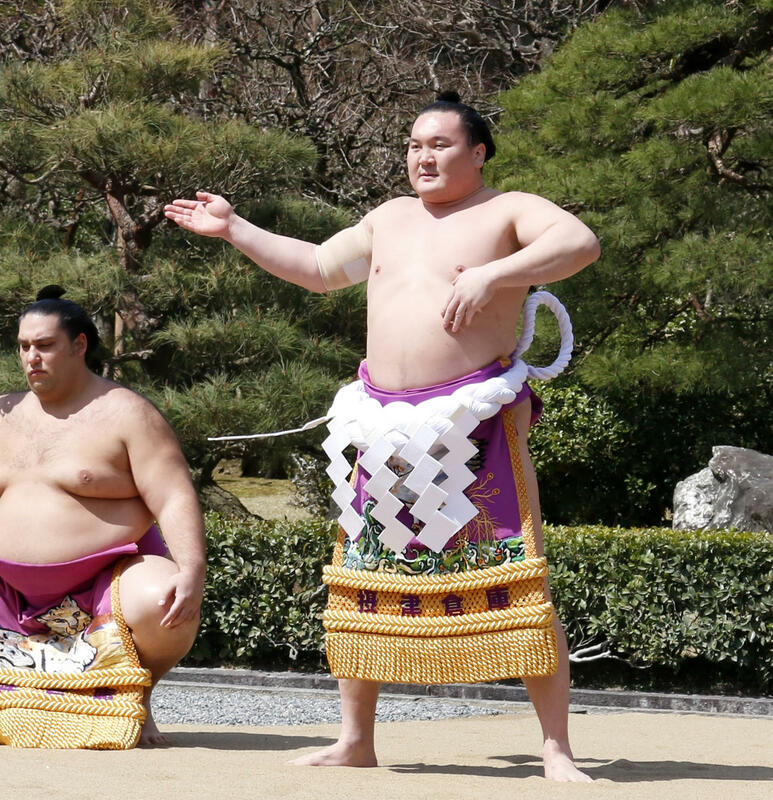 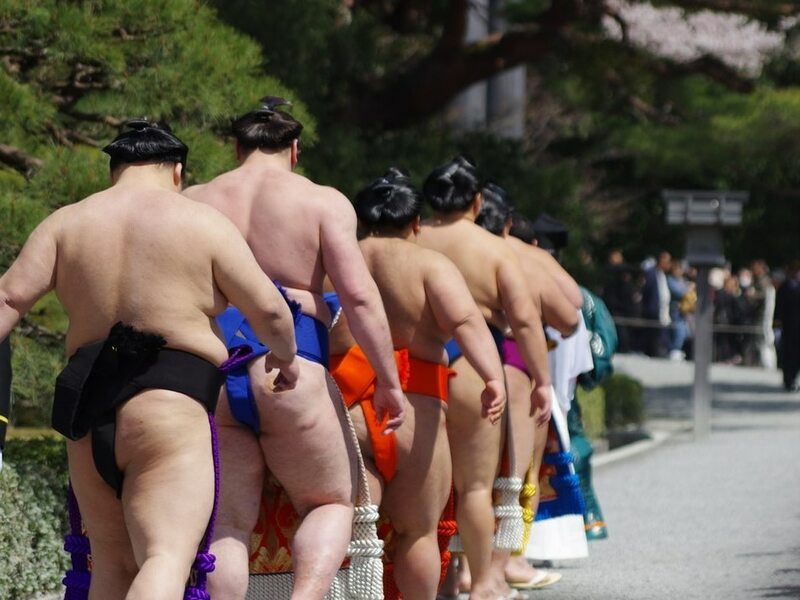 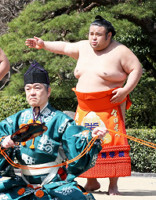 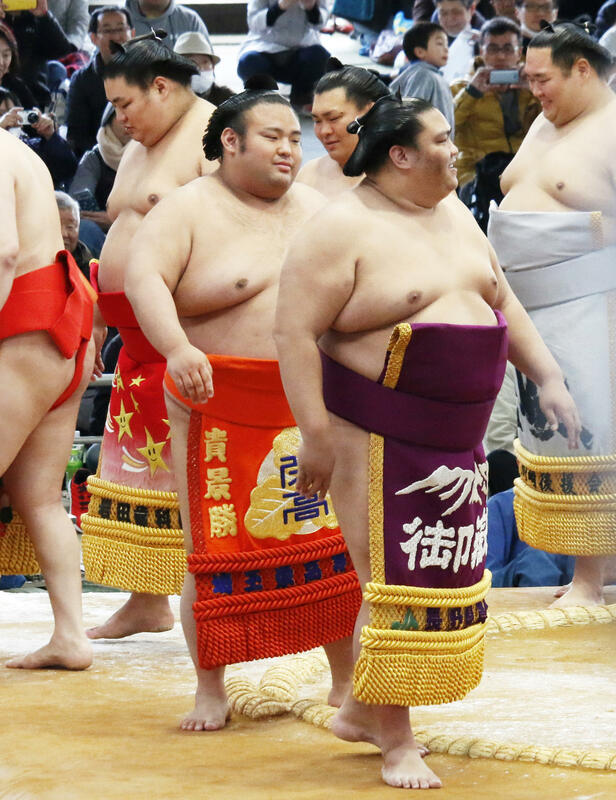 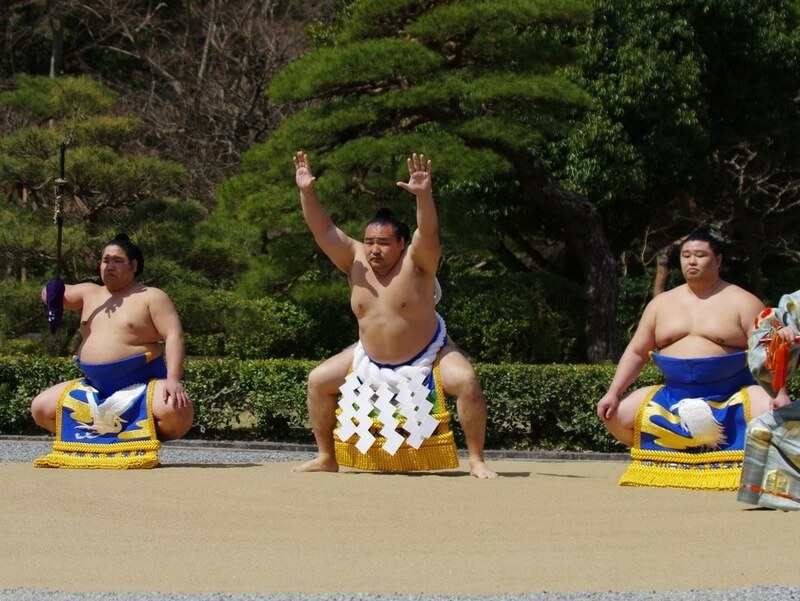 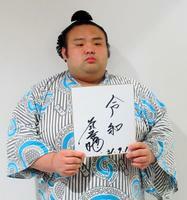 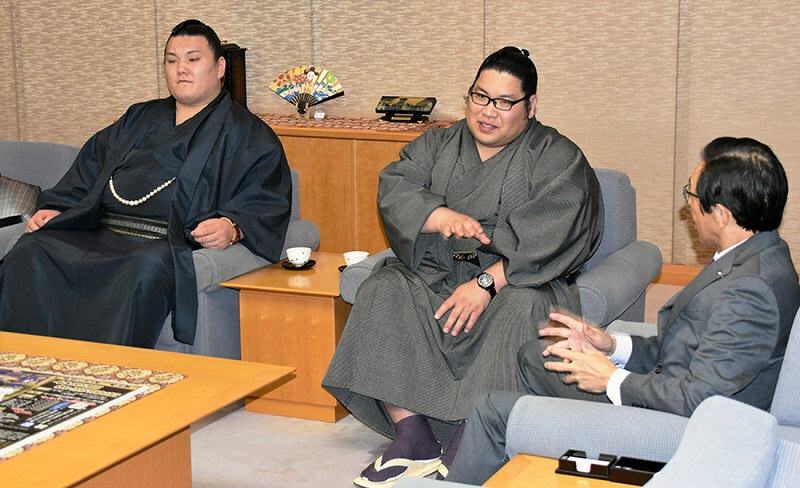 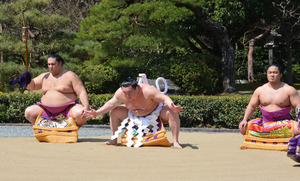 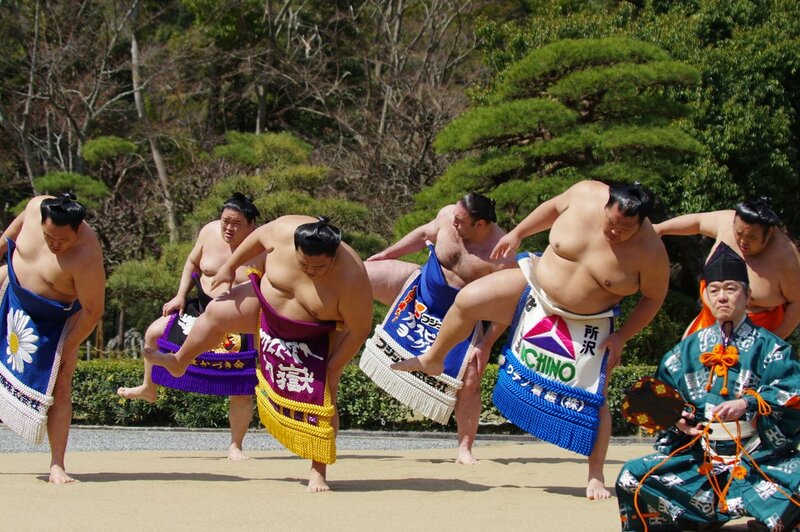 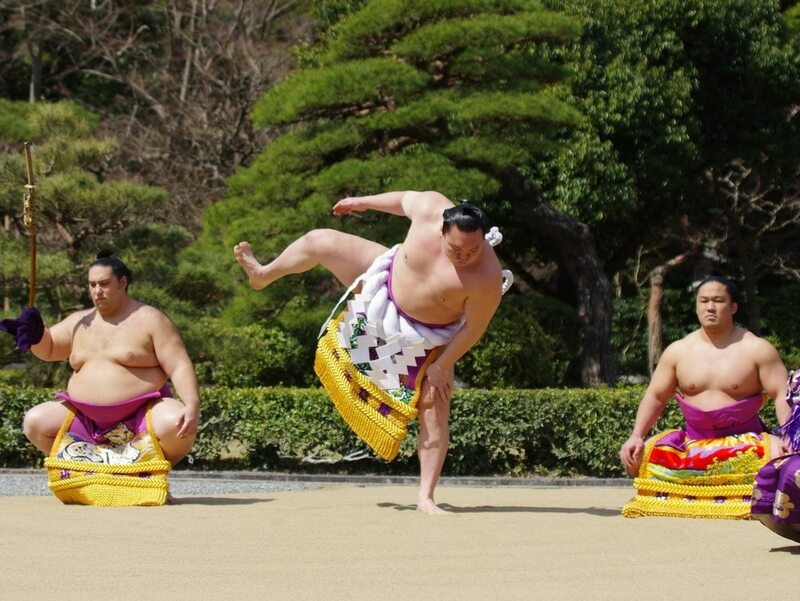 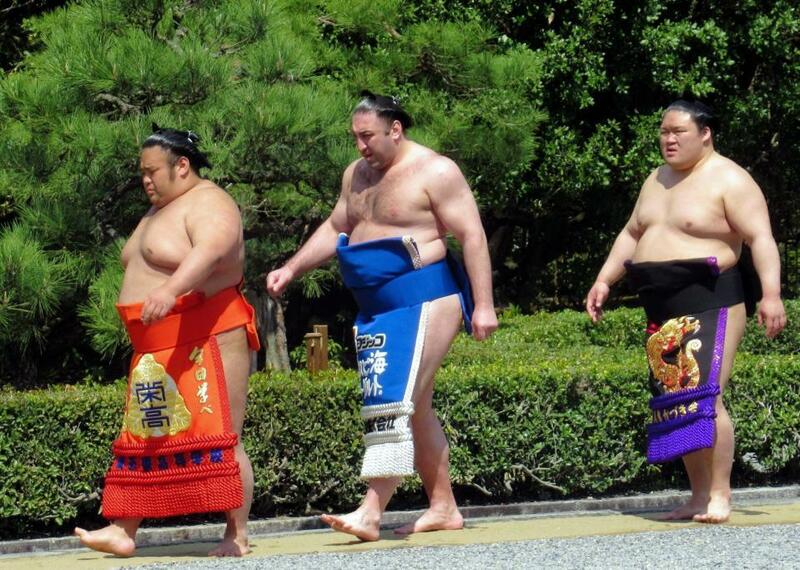 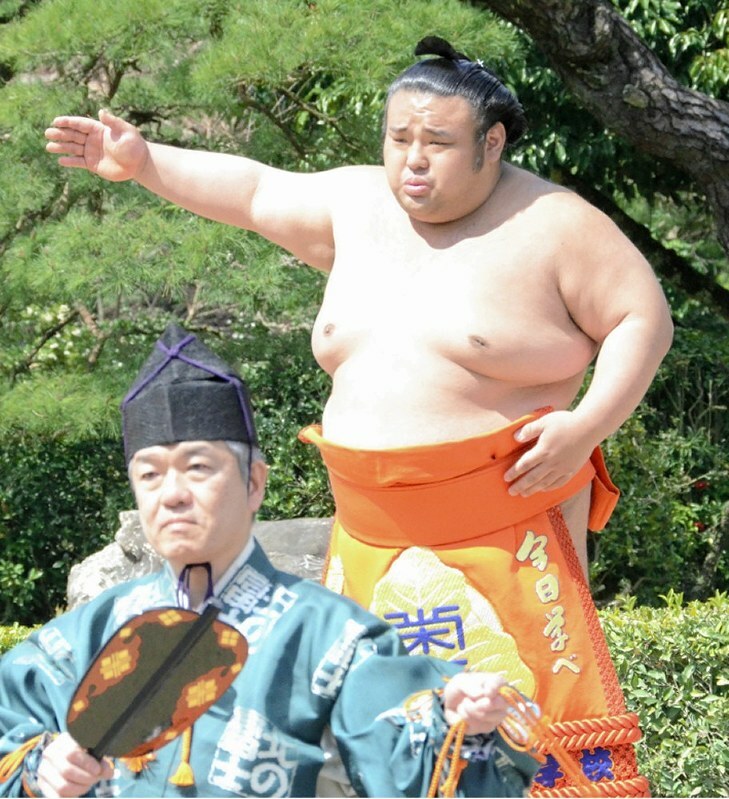 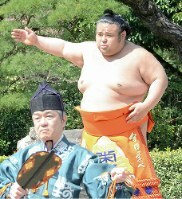 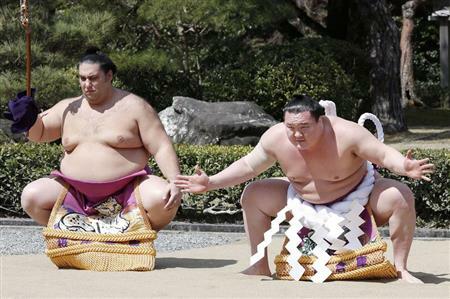 Out of the jungyo -Takayasu, Ichinojou (back pains, will join when he feels better), Ikioi, Chiyonokuni and Hakuyouzan. Hakuho performed a dohyo iri at the Ise Grand Shrine today. The injury is confirmed to be a ruptured muscle in the upper part of the right arm (右腕筋断裂). 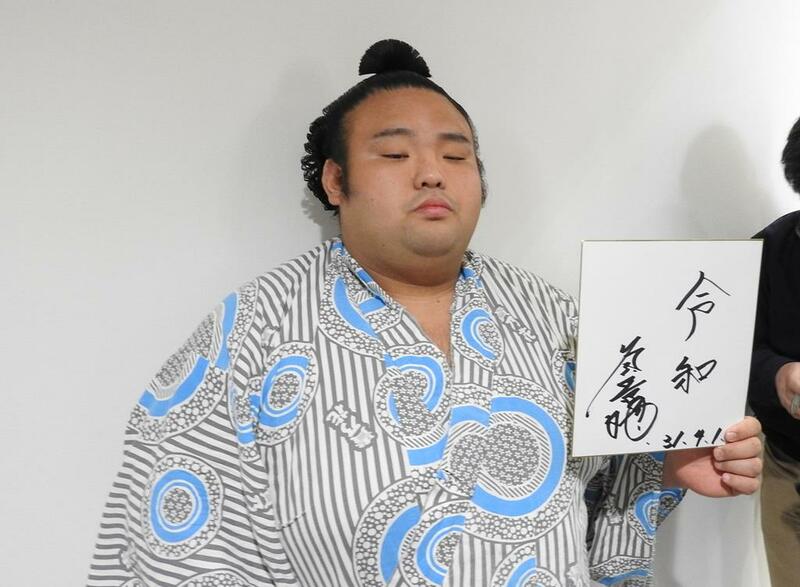 Apparently it shouldn't affect his movements too much and he should be able to do tsuppari or grab a mawashi but he said himself that he feels disconfort when he contracts the arm. 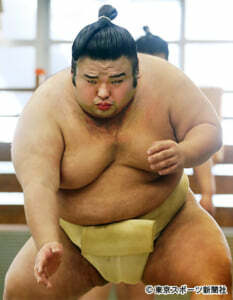 Surgery was an option but "It would take too much time" he said. 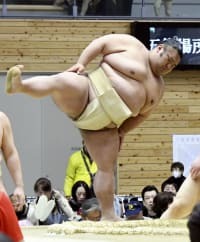 He plans to rest and wait for the injury to heal on its own. 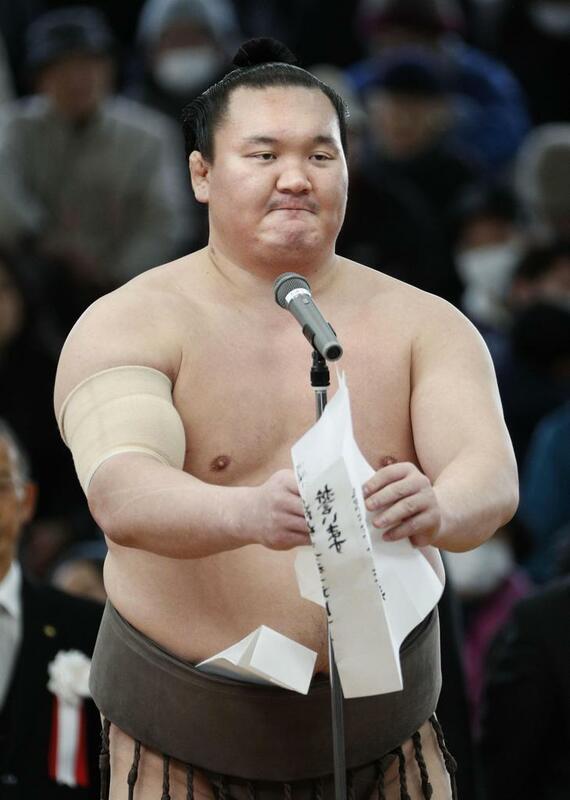 He was out of the Makuuchi tournament held today. 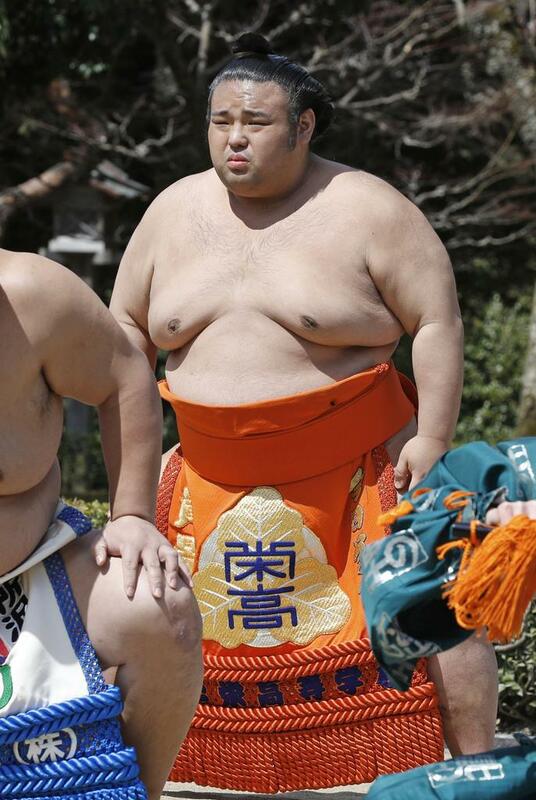 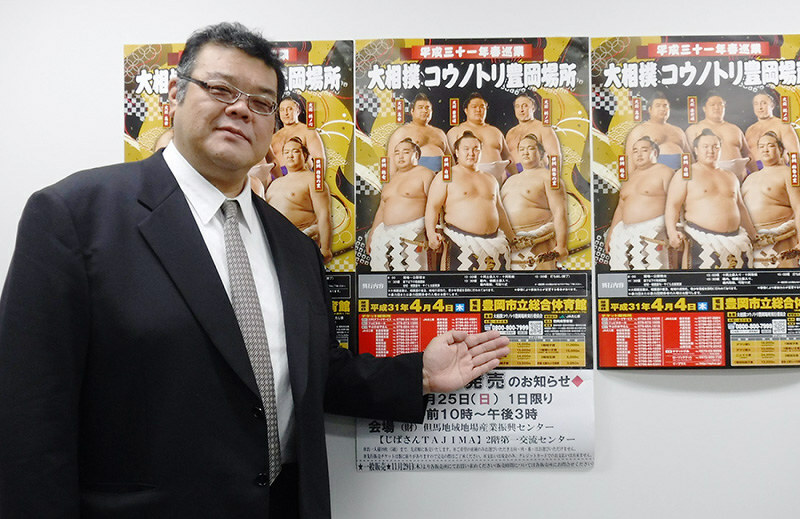 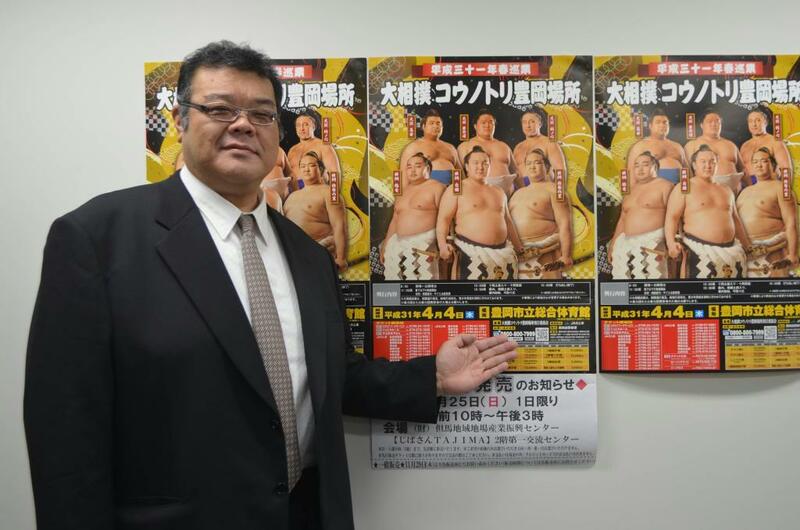 I'm surprised to see Takayasu there, he didn't seem in a bad shape during the tournament. 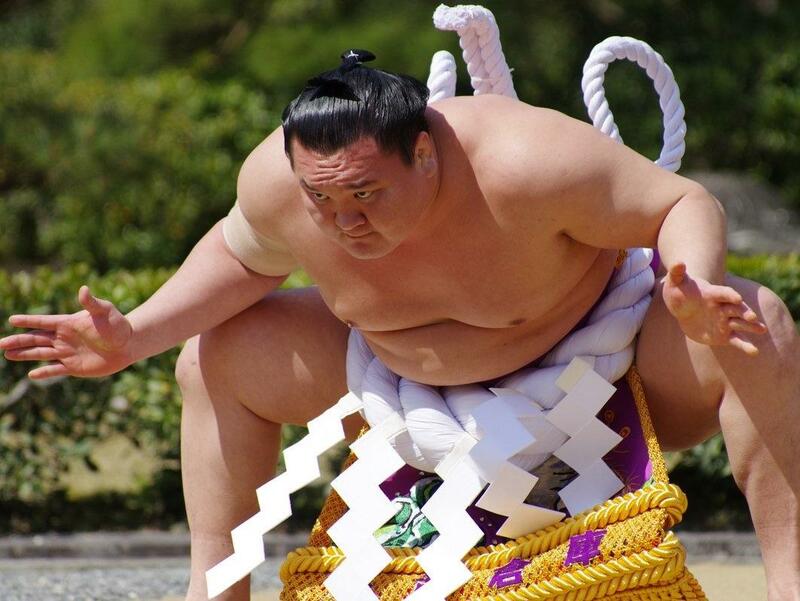 Back pains like Ichinojo ? 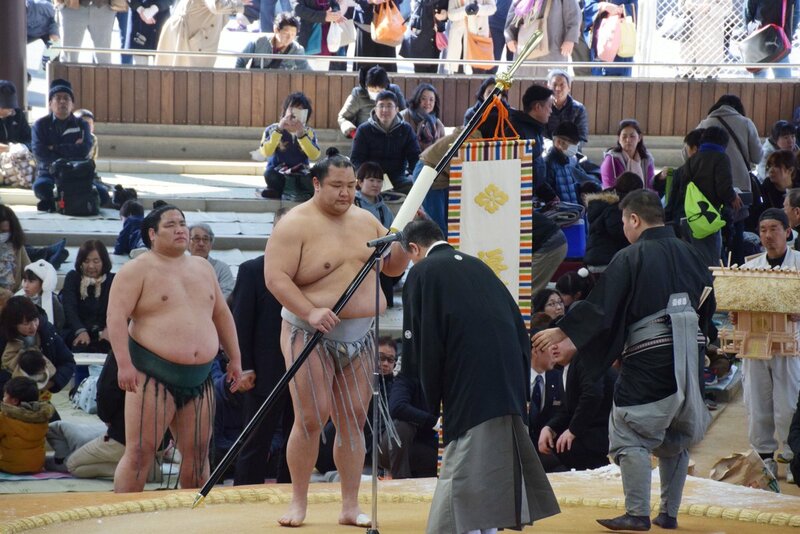 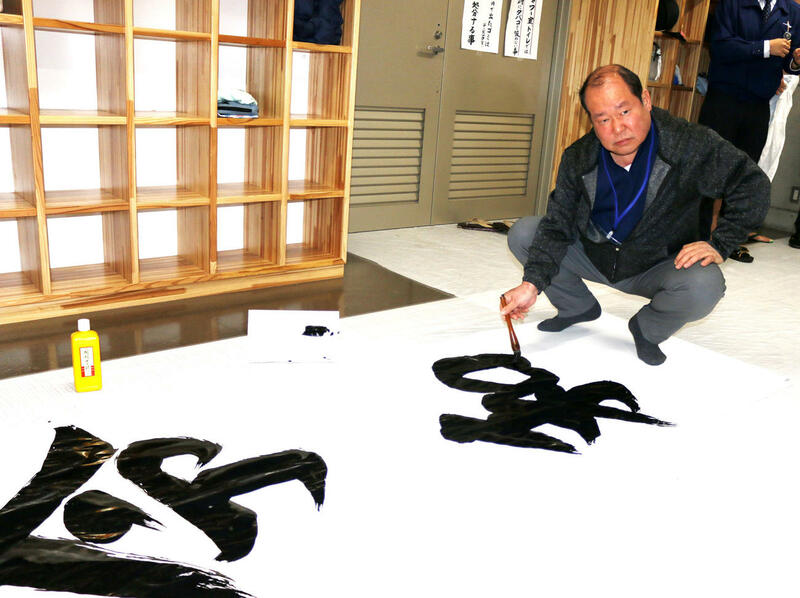 The jungyo is in Nara and Gojo today (April 1rst) as the name of the new era 「令和」"Reiwa" has just been announced. 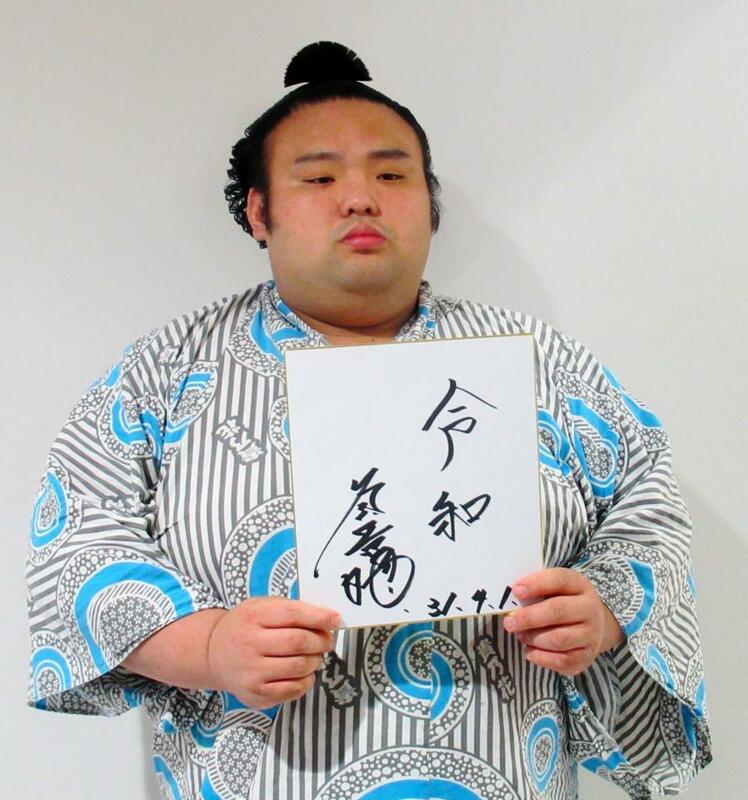 "When something has roundness, it's easier to caligraph" explained Tate Gyoji Shikimori Inosuke who gave his best shot at writting 令和 just after the announcement. 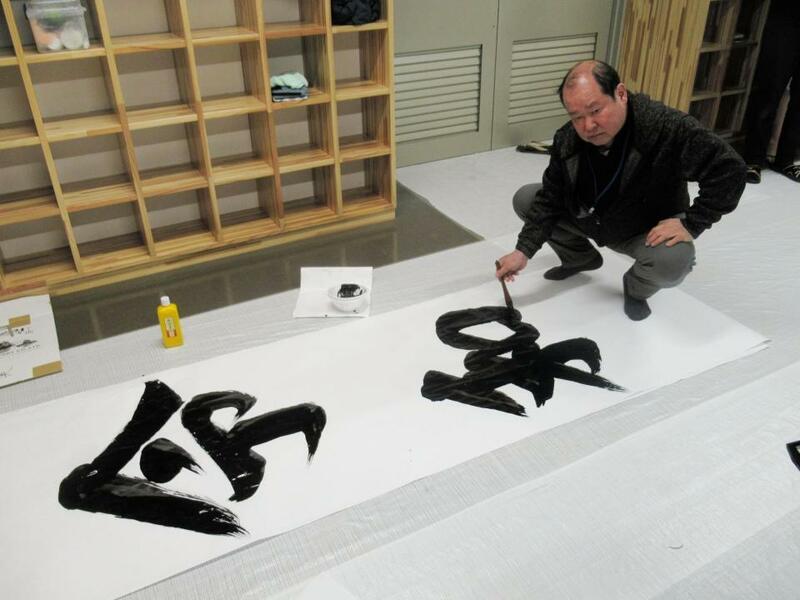 "「令」has a nice and sharp shape so I was nervous. 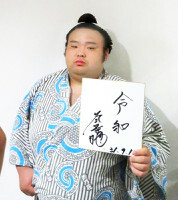 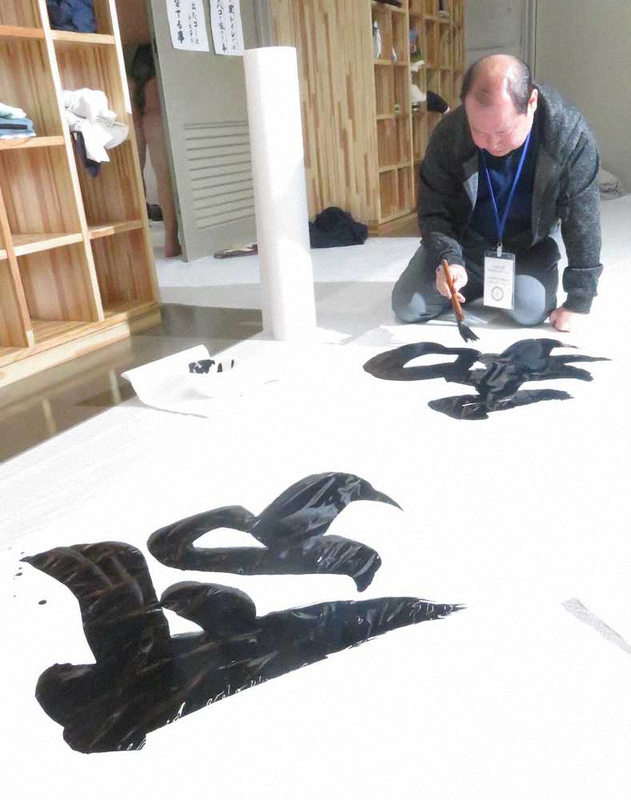 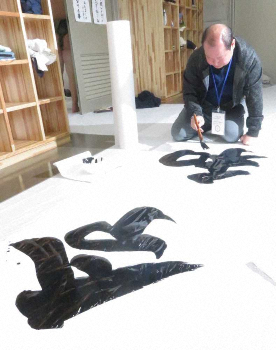 「和」is a Kanji that has meaning for me, before I became Shikimori Kandayu in 2012 I was 木村 和一郎 and the name of my daughter is 和子. 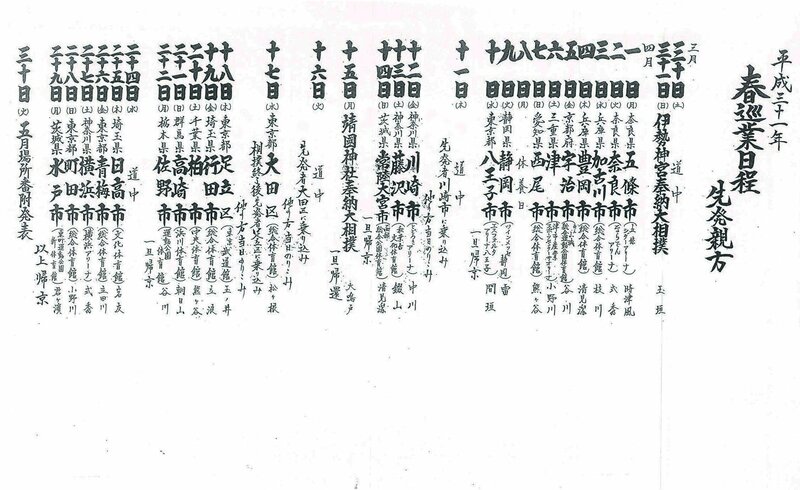 I thought maybe it's better if I am the one chosen to write it so I volunteered. 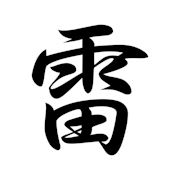 (...) I was nervous when I wrote the 令 but I guess I relaxed a bit when I wrote the 和" said the Gyoji with a bitter-sweet smile. 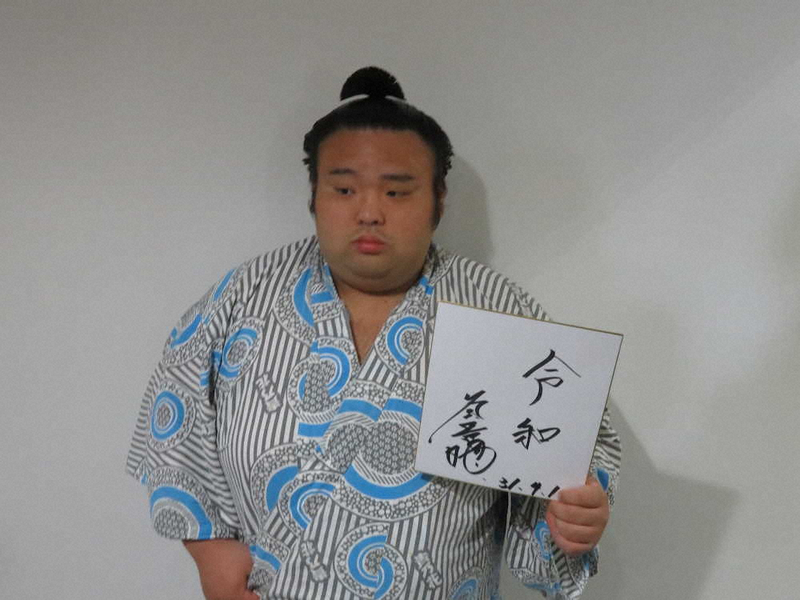 His caligraphed 令和 was hanged down in the gymnasium after the Makuuchi and Yokozuna dohyo iri.